Now that we are in the "waiting for the phone to ring" period of our Adoption, I can finally start working on the nursery. It's different for every person going through the adoption process. Some can't bear to walk past an empty nursery every day, while others gleefully pass by because of what the nursery represents. I believe I do, and will as time goes on, fall into that latter category. 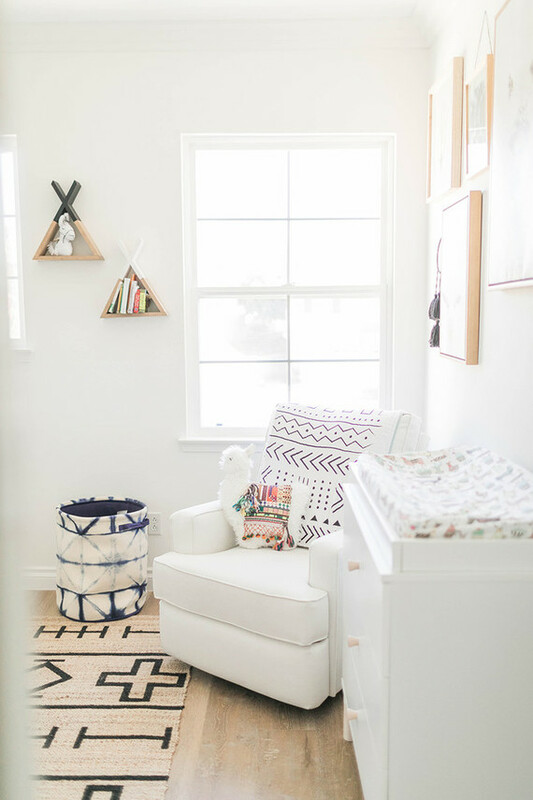 There is NOTHING wrong with waiting to put your kiddo room together until after your baby is in your care. It really does differ from person to person. For someone like me, it's an energizing activity and fun to focus on! 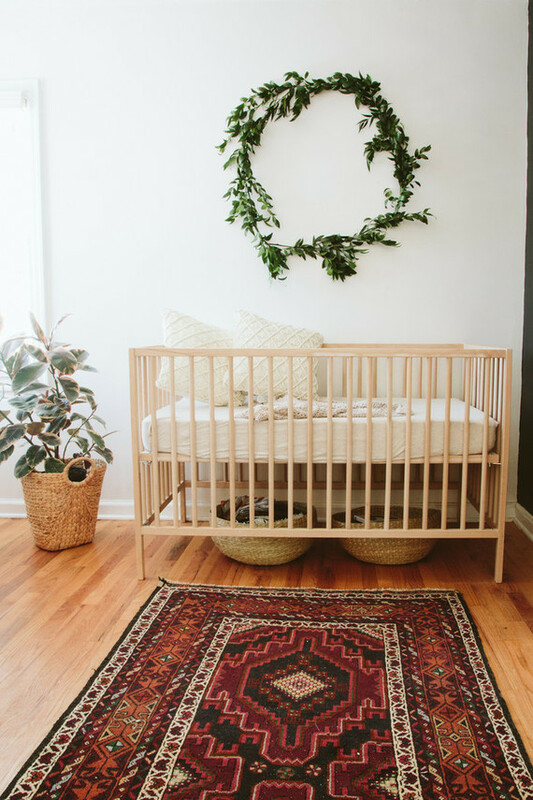 Initially, I was planning on acquiring only the absolute necessary basics and waiting to put together the nursery after the baby is in our care. But I made the turn on that as soon as our Home Study process was complete. I WANT to put it together. I WANT to be prompted to prayer when I walk past the room. I WANT to walk in there and imagine what it will be like when the little guy or gal is here, a part of our family. So, I'm slowly working on it! Luke and I been gathering inspiration for a while and I'm ready to share that with you! We are going gender neutral with our color palette because we won't know if it's a girl or a boy. So instead of pinks or blues, we're going with GREENS and light wood tones. I love the idea of using a dresser with a changing pad secured on top. We are taking an old dresser from Luke's grandmother's house and will paint it this color. I'm not sure if we'll do the gold drawer pulls though. The piece we are getting is super special. My MIL told me that Luke's grandfather had the piece made for Luke's grandmother. It's really special! I'm glad it's getting to stay in the family. Yes, I have her permission to paint it. I'd leave it the way it is, but it's too dark for the aesthetic we're going for. I love how the simple, light wood crib works with the bold dresser. It makes me giddy just thinking about it. 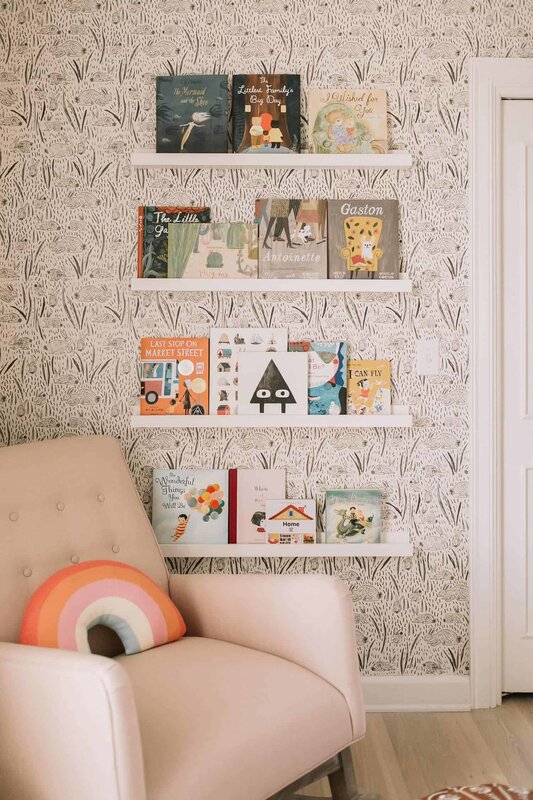 Who cares if book ledges are overdone? They are so cute and seem to be so practical. 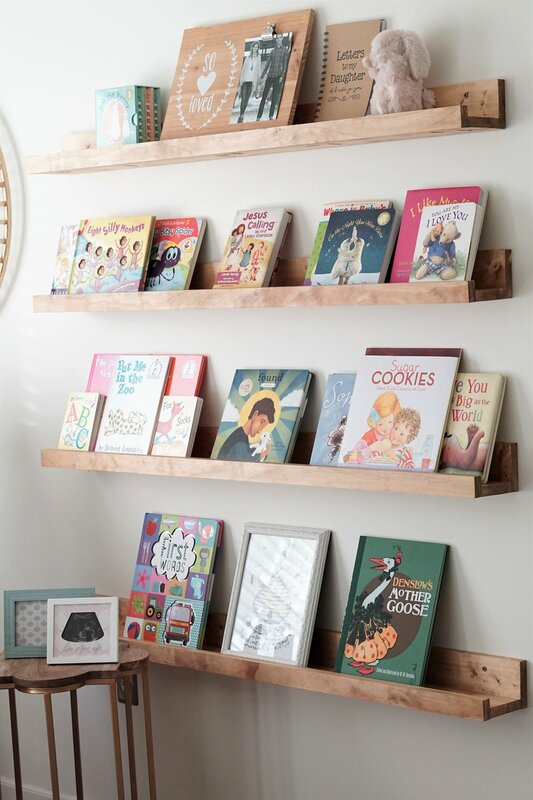 Until Pinterest shows me something cuter than a book ledge and chair combo, I'm 100% having something like this in my nursery. I like the white and I like wood tone. Who knows which way we'll pick? I have been on the Llama train for a couple of years now. I am LOVING the trend. Everything has great color and texture and I'm excited to incorporate llama accents into my kiddo room. I already have the Llama head from Target. I can't wait to hang it up! I'm also planning to incorporate wicker baskets for storage and other accent pieces. A room is not complete without a good rug. I'm keeping my eye out for a rug that won't just work in the nursery, but in my whole house. I like to switch things up and move things around! So I'm looking for something with color and a nice pattern OR something neutral that I could put in any room. 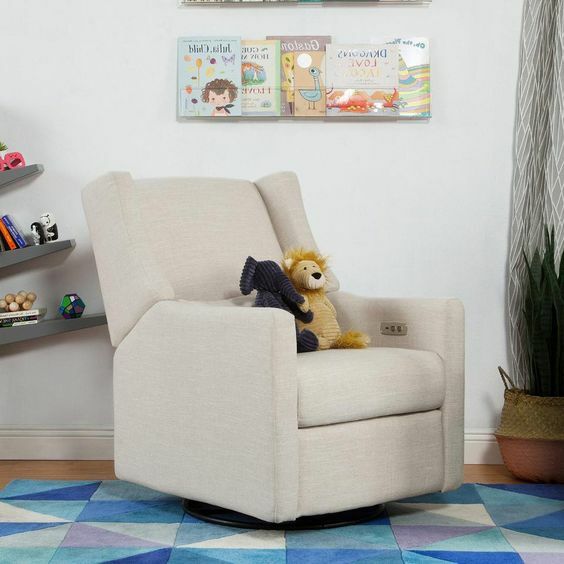 We are going to keep everything else in the nursery as affordable as possible, but we are planning to splurge a little on the chair. From everything I've read and people I've talked to, they all say don't skimp on the chair because you're going to spend a lot of time in it. 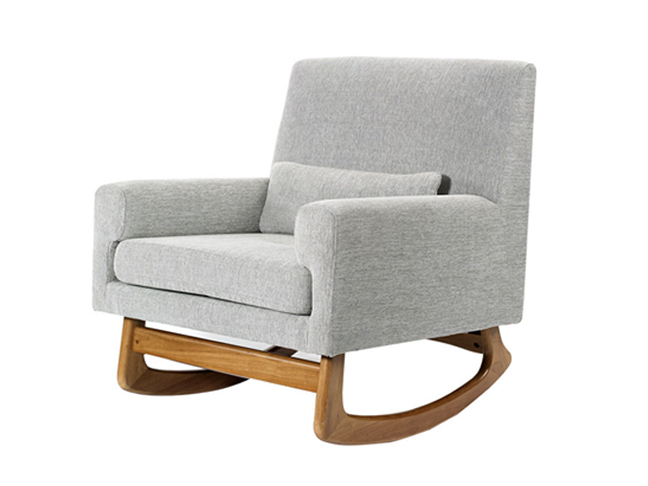 So, I'm looking for super comfy and something that will work with the overall design aesthetic of my home. I'm planning to keep it forever. Those are some of the bigger things that I'm looking for! Of course, little details will come over time. Currently, we've painted the walls white. That's it! I'm excited to start working on it. 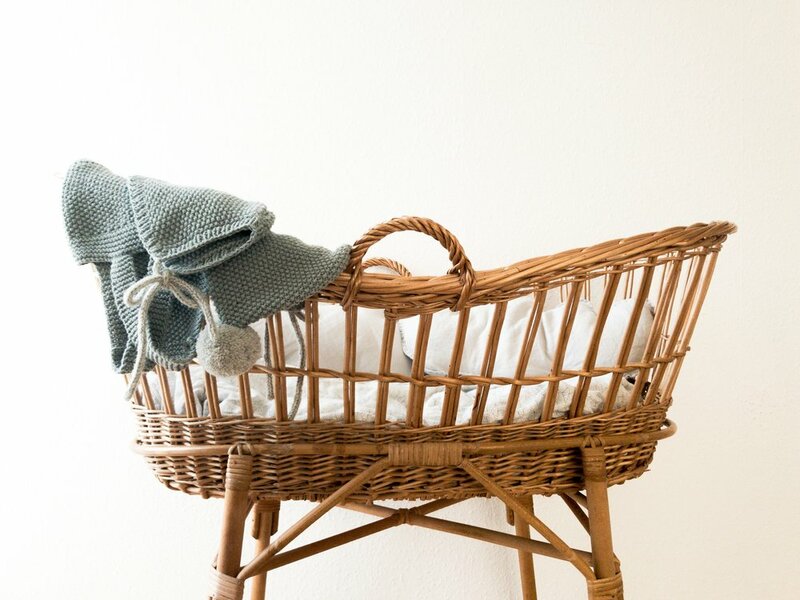 Mamas, you can let me know what nursery items are necessary. First timer over here! All I know is what colors I like.... LOL. All help appreciated.